Today's media coverage includes reports on future immigration policy and the border between the UK and Ireland, and immigrants in the workforce. The position paper on Northern Ireland published by the Department for Exiting the European Union receives widespread coverage in today's papers, with many noting that the passports of EU citizens crossing into the UK from the Republic would not be checked at a physical border. Separately, the Times reports that the “principle of freedom of movement will remain” for those who want to visit or stay in the UK but a system of permits will limit the number of people migrating for work. To clarify, the Government has said that free movement will end in March 2019 when we leave the EU. We will set out our plans for the future immigration system in relation to the EU in due course and this will allow us to control who works, studies and accesses public services in the UK. We have been clear that we want a deep and special relationship with our EU neighbours and, of course, we want EU citizens to continue to feel welcome here. The Express, Telegraph, Times, Mail and Sun report on Office for National Statistics workforce figures released yesterday, leading on the fact that one in five job seekers are migrants and there are a record 2.37 million EU migrants working in the UK. The Home Office response to these figures is below. The Government is working to ensure that the domestic labour force has the skills it needs to fill jobs in the UK labour market and these figures show that more UK nationals are in employment than ever before. Non-UK citizens currently resident in the UK make a vital contribution both to our economy and our society but we remain committed to bringing net migration levels down to sustainable levels. 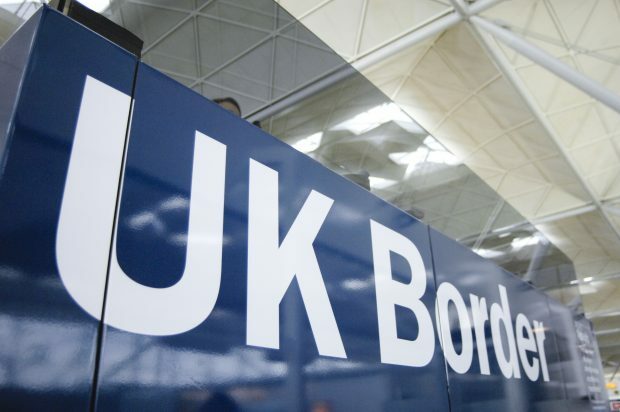 As we conduct our EU exit negotiations, we must ensure we can control the number of people coming to the UK from the EU and build an immigration system that works for everyone.